THIS EVENT IS IN THE PAST. 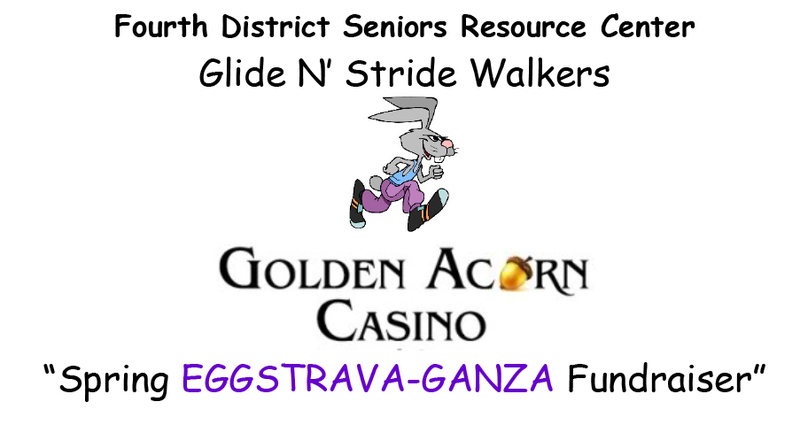 FDSRC Glide ‘n’ Stride Walkers had an all-day “Spring Eggstravaganza Fundraiser” on Wednesday, April 12, 2017. A donation of $20 included free play with a bonus of $5 more if your birthday is in April. Seating on the bus to Golden Acorn Casino was limited and filled up quickly. Everyone who went had an “Egg-stremely” good time! If you missed it this time, there will be more. Be sure to drop by the Center to pick up fliers about upcoming events. Or call for information at (619) 266-2066.